26 years ago, I got certified as a fitness instructor and started teaching weight training and aerobics classes. I loved it so much, I started taking classes in anatomy, biomechanics, sports physiology, and sports nutrition instead of what I'd planned on. 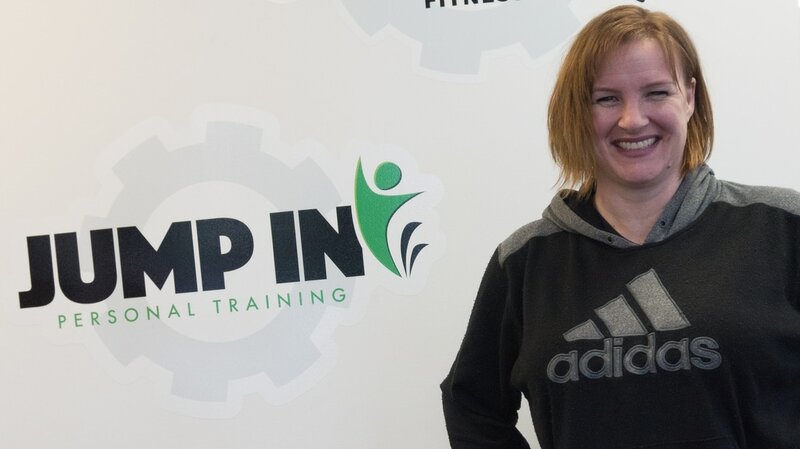 I got my degree in Physical Activity and Sport Studies from the University of Winnipeg, and took fitness courses and certifications as they became available, including fitness assessment and Personal Training. I've been through many setbacks over the years including injuries and having babies, which has taught me to never give up. That no matter how hopeless it seems, try anyway. You can always get a little bit better and those little bits add up. I apply this to Personal Training every day. No matter where someone is at right now, I strive to help them get better. Stronger. Healthier. I love helping triathletes move better so their knees don't hurt. But I also love helping seniors to regain enough strength and balance to carry in their own groceries. ​No matter where you're at right now, you can always be a little bit better, and I can help.